Everyone at the office calls your deaf coworker Diane, but she is better known in the deaf community as "Bright." Bright is a genuine person who is always smiling and positive. Her cheerful name sign captures her personality way better than the name "Diane" ever could! Many hearing people are surprised to learn that the deaf community has it's own unique naming system. The only true way to get a name sign is to be given one by individuals who are deaf, since ASL is their native language. Name signs come in all forms. Some are based on the person's birth name or initials, for example, someone named Amy could be an "A" that moves down the side of the face to signify long hair. Some are based on their physical features or personality traits, such as "Dimples" or "Motivated". And other name signs might be based on the person's interests, like "Dance" or "Star". Once you have a name sign, good luck changing it on your own! On the other hand, deaf people might change your name sign if they feel a different name suits you better. For example, I was given a name sign by my mother who is deaf. My original name sign is an "L" that is waving, because as a child I was always waving at everyone. Once I moved to New York City and became involved in a much larger deaf community, people began referring to me as "LC," which identifies me by my initials so I can not be confused with someone else who has the same name sign. In my intimate circles, I remain true to my birth name sign, but in NYC my name sign has evolved. Name signs are personally inspired and usually reflect some aspect of the individual. Those in the deaf community know, this can be both a good and a bad thing. When people discuss you in ASL using your name sign, your reputation precedes you. Before people even meet you, they have an idea of who you are based on your name sign. Journalist Charlie Swinbourne explained how one of his deaf colleagues became known as "Murder" in an unfortunate re-naming incident. Some deaf friends thought it would be humorous one night to change the individuals last name from "Burder" to "Murder" and it ended up sticking. Although he was formerly known as "Smooth", because of his skill with the ladies, he stopped getting dates once his new name got around. As one might expect, being called "Murder" can really impact a person's life! 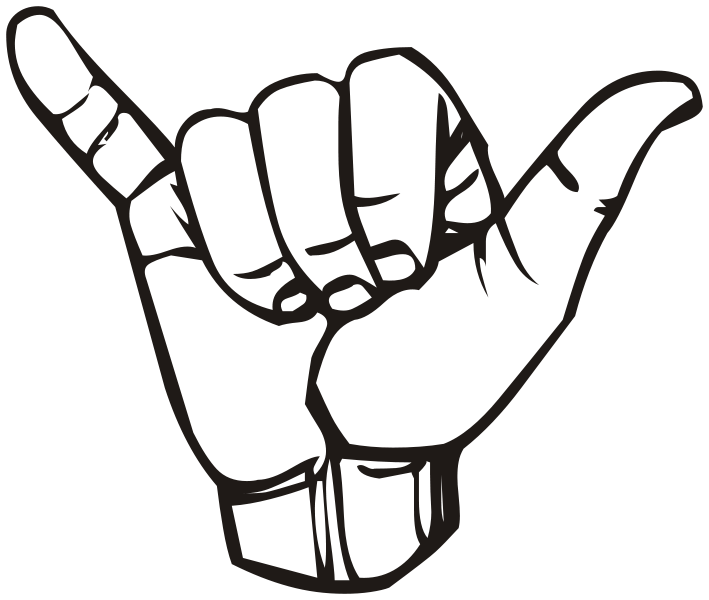 An ASL name is so much more than a nickname, it becomes a major part of your deaf identity. Because an individual can not simply change their own name sign, these names carry a history and personality all their own. Each facial expression and classifier, which is a descriptive handshape, gives a little insight into who the individual is and how they are viewed by others. Take my deaf niece Jaisy, for example, who is known as "Same". When Jaisy was just a newborn, her big sister took one look at her and signed "same" because the baby had the same hair and eye color as her. Her name is Jaisy, but people who know her use the sign for "same" to represent her in conversation. When she gets a little older, her mother will give her a new sign name that is more appropriate for her growing personality. 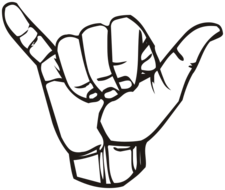 While it might seem like a novelty to hearing people, having an ASL name is very meaningful for those in the deaf community, and it could even be considered an honor. Name signs in the U.S. are not used on documents and they are not spoken out loud. They are created and used exclusively by members of deaf culture. These names aren't just given out to anyone -- they are a right of passage into the deaf community. A name sign means you're an active ASL user who is worthy of being more than B-O-B, or L-Y-D-I-A (finger spelled). To have a name sign means you are officially part of the Deaf world.